Are you getting the flu shot this year? 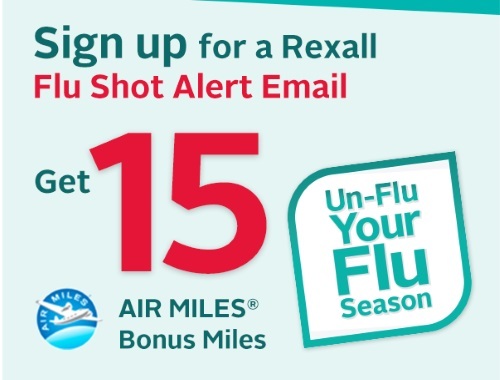 Rexall is offering 15 Free Air Miles Bonus Miles when you sign up to get a Flu Shot Alert Email! Every year thousands of Canadians are caught unprepared by the flu. The first step to avoid the flu is to know when the vaccine is available. When the vaccine is available in your region we will notify you by email so you can visit a Rexall pharmacy near you to get your flu shot. Any time, any day, any store.